​In association with Otago University Press. 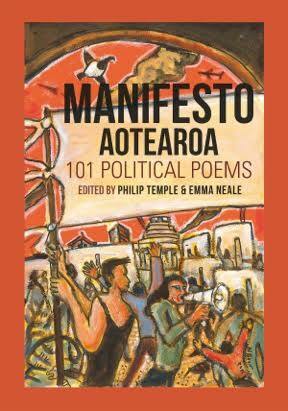 Manifesto Aotearoa features 101 new political poems by New Zealand poets of diverse cultures, young and old, new and seasoned, from the Bay of Islands to Bluff. Edited by Philip Temple and Emma Neale, and published by Otago University Press, Manifesto explores myriad contemporary political issues and social fault lines: from our degraded environment to systemically embedded poverty, from the long, painful legacy of colonialism to explosive issues of sexual consent. This event will feature short readings from a number of Manifesto poets.